The journey of Demo nights started 4 years ago when we organised a single event in Bangalore to give startups an opportunity to pitch to get valuable feedback. 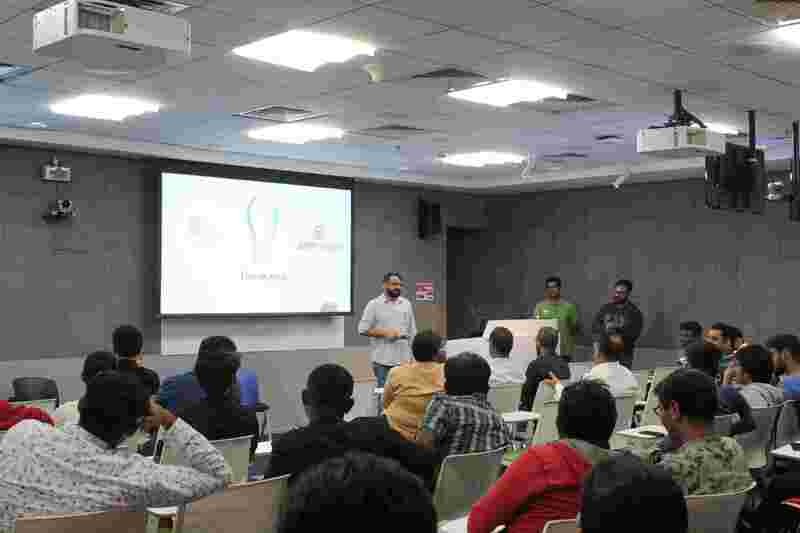 While those percentages have been pretty stable over the years, this time we went ahead and hosted the first edition of Beta weekend in association with Google Cloud Program. While the Startups that get to pitch at the demo day are the center of attention, we had something for everyone. 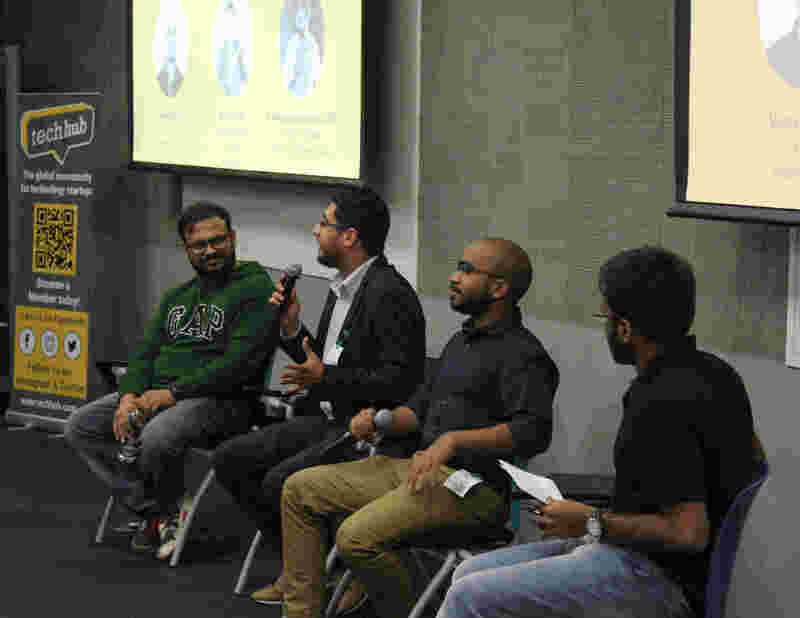 We organized a panel discussion on "Building Innovative Organizations - Reality, Challenges & the way forward" that would uniquely be able to cater to your requirements as an entrepreneur and give your skills that are much needed to further your journey. We had Mr. Abhay Tandon (Program Manager, Target Accelerator), Mr. Vivek Prakash(CTO, HackerEarth), Mr. KC Ayyagari (Program Manager, Google Cloud Startup Program), give-in pretty interesting insights to provide inspiration, perspective and knowledge. To add to this, Google credits and one day passes to try out TechHub were given to startups enrolling in the Google Startup program. We kick-started off the Beta Weekend with a welcome note- The story of TechHub so far! We also had KC share the tools, techniques and everything awesome about Google Cloud. And then we had the panel discussion on "Building Innovative Organizations - Reality, Challenges & the way forward". Socratease- It is a learning app that teaches concepts from scratch in an engaging manner. The modules are basically quizzes that make you really think about a concept. Different users have different journeys, depending on the options they choose. But, they all end up at the same destination, thus having learnt the same concept, at their own pace. Auquan - Auquan is bridging the gap between data science and finance by translating analytical skills of talented people into trading profits. As such, we are creating awareness about trading industry and trading skills in India, and helping budding traders realize their potential. We ultimately want to democratize trading by making algorithmic trading skills and strategies accessible to everyone. AppAchhi Technologies - AppAchhi is a mobile app testing platform for functional and performance with real user condition. Challido -Challido is a platform to help companies build innovation culture and build intrapreneurs. Evenforce Technologies - A cloud based mobile first and web based enterprise application that helps implement the best in industry processes, manage and monitor workflow with ease and simplifies customer database management. Cloudadic Inc. - Stegosoc,a security operations on public cloud which performs very similiar to google analytics. Ampwork - Proximity Based Information Sharing / Marketing / Branding using BLE technology. Nanoapps - Nanoapps is a platform that enables an app developer to add, update or remove a portion of the native mobile app. a Nanoapp is a containerized micro-app that resides in the standalone native app.